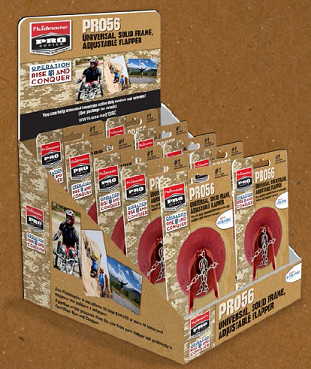 ASA members have done their part to contribute to Operation Rise and Conquer in various ways. Some donate through fundraising efforts at different ASA events. Some write a check to ORC. But, what seems to stand out the most are those who come up with unique ideas to raise money for this wonderful program. Using the community around them and their presence in the marketplace, here is what some of ASA's members have done. During a record turnout at Network2015, ASA members were able to break another record. This record was the amount of money raised for Operation: Rise & Conquer. Over the course of two days, members raised $35,000 which totaled $110,000 on the year. 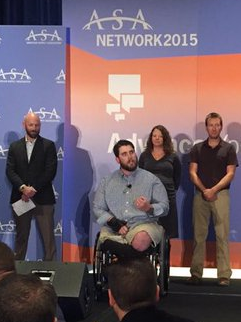 This put ASA over its 2015 goal of $100,000 and will allow 36 veterans to participate in the week-long adventure in Crested Butte, Colorado. Through the instruction and equipment of the Adaptive Sports Center, Operation: Rise & Conquer is designed to empower, support and inspire wounded soldiers and veterans to regain confidence and trust in themselves and others through summer and winter outdoor adventure activities. The hope is that more and more ASA members utilize their resources and put them towards this great program. The plumbing industry’s support of Operation Rise & Conquer continued in great force on May 2 as VAMAC, Gerber and Danze teamed together for their first ride through historic Glen Allen, Virginia. 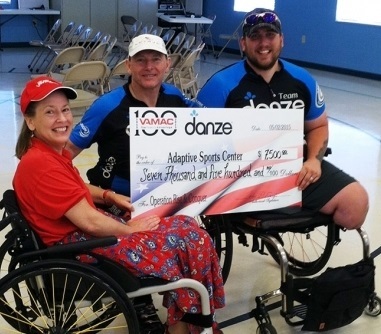 The ride raised $7,500, enough to sponsor three veterans through the Adaptive Sports Center program in Colorado.